Fowawaplaberugu (food water walk play belly rub guy) went somewhere in his moving domicile (car) and he left the computer on with a web browser open and signed in to his blog. So I thought that I, Lily the dog, would tell you about life as a dog. 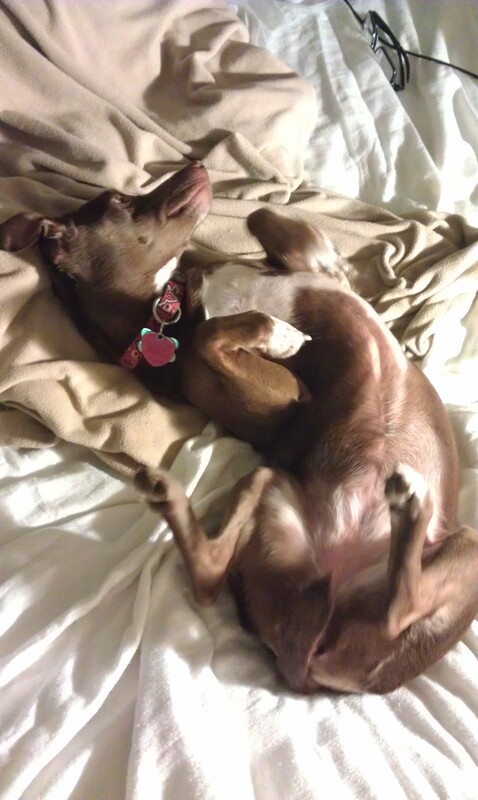 It is a common misconception that life as a dog is a breeze. Why, just the other day, the blue menace (a blue plastic bag) tried to kill me…excuse me, I need a nap. Also, Fowawaplaberugu only let me lick his bowl twice! TWICE! Egregious, I know. I also have to defend Fowawaplaberugu from the people walking by outside our domicile. For the most part, my savage bark and my kill face keep them away: but occasionally, Fowawaplaberugu lets these people in. That’s when I have to unleash my most fearsome barking and growling…excuse me, I need a nap. When we go for PEE-PEE as he calls it, there will be humans lurking out there, sometimes they try to TOUCH me! This aggression will not stand, so I poop on their lawns…excuse me, I need a nap. Humans call me “cute” and “precious” a lot. I guess those are different words to describe a vicious beast. I better go now, I need to take a nap. You can earn some additional money from your site, i see couple opportunities here.